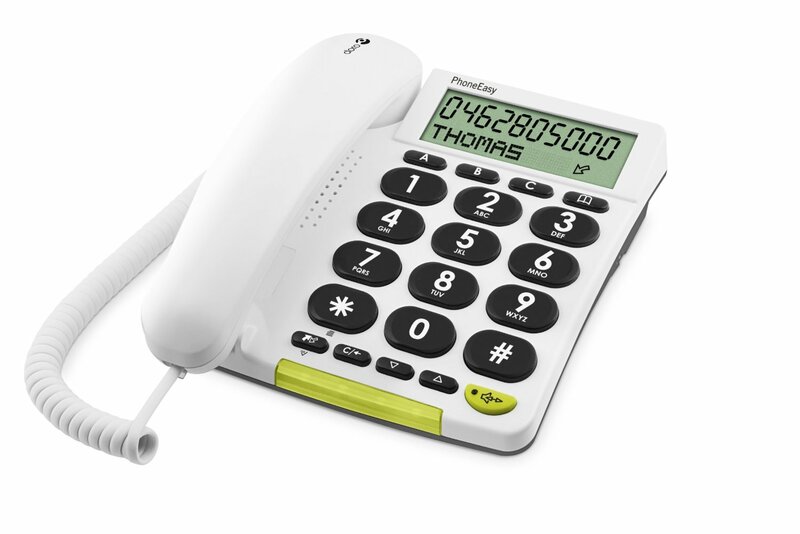 A corded telephone with large button keys and an easy to use display with large characters. 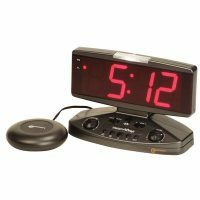 It has an extra loud ringer signal and handset volume that can be easily adjusted and benefits from caller ID and a phonebook. 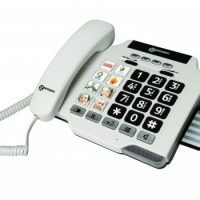 A speakerphone allows the user to talk hands-free and it can be used as a desktop or wall-mounted telephone. It is also Hearing Aid compatible.